We are excited to introduce to you our new Berean Online Store! We are proud to be partnering with BSN Sports to offer you the ability to purchase Berean Spirit Wear all year round. BSN offers several items for you to choose from, as well as multiple logos and designs. You can customize the design colors or even add your name to some of the products. Our store includes design categories for all needs in the Berean family including sports teams, alumni, family relationships (mom, dad, grandma, etc. ), clubs, and more. You can make your purchases directly on the website and have all your items shipped directly to your house. 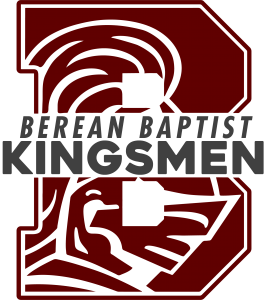 There is no minimum purchase necessary and a percentage of all orders will benefit Berean Baptist Christian School. There are two sales available at the start of our store launch. If you spend over $75, get 20% off your order.